What is HR Compliance? No such thing. Employees are a dice roll. Jill DeWit: And, I’m Jill DeWit, broadcasting from sunny southern California. Well, it’s not sunny today, but it’s pretty. Sorry. Jack Butala: The ocean’s there but we can’t really see it. Jack Butala: Today, Jill and I talk about, what is HR compliance/human resources’ compliance anyway? Jack Butala: Why do we care? This show is supposed to be about real estate? Jill DeWit: Human resources. Human resources. So much of HR is not really HR. We call it HR, but it’s not HR. Does that make sense? Jack Butala: It’s so important. People are so important in the real estate business, and I guess in every business. Jack Butala: You’ve got to keep them happy. Jill DeWit: HR is not counseling, it is not … You know, personal development. Sorry. Jack Butala: This has the signs of Jill rant show. Jack Butala: No, it’s good. I like it. Jill DeWit: Come on. I’m the people person. In our company, I think I’m the most people person because I really try to get in there and understand people, but I’ll save it. Jack Butala: Before we get into the topic, let’s take a question posted by one of our members on the jackjill.com online community. It’s free and about real estate. Jack Butala: Hold on a second, Jill. Hi, everyone. I have an infill lot that has a soil analysis on file. Jack Butala: What file is that? Why are we looking at a file? Go ahead. Jill DeWit: Yeah. I wonder where he got that. Jill DeWit: Yeah, where did he get that? You don’t record that stuff. It’s a corner lot in a subdivision with houses everywhere. Jill DeWit: Both adjacent lots have houses on them. Jack Butala: I’m loving this deal, loving this deal already. Jill DeWit: It’s a pretty good deal. Buy for $1,250, get title insurance, because it’s confusing with a foreclosed upon Deed of Trust, so I’m probably in it for as much as $3,000. Jack Butala: $3,000 for a infill lot, in a developed subdivision. Jill DeWit: Right. Then, sell it for $5,000 or $6,000. Sounds good. Jack Butala: That’s not where it stops. Go ahead. Jill DeWit: Here’s what Matt says. Would you, one, buy it, and then ignore the soil analysis? Jill DeWit: Two, give up and move on. Jill DeWit: Three. Pay for another soil analysis? Jack Butala: Not a chance. Jill DeWit: Four. Option to the neighbors for $2,000 and take $750 and run. Jill DeWit: Seller’s okay with the option. Haven’t reached out to the neighbors yet. Do you think the soil analysis was no good? I have something to say, first of all. Jack Butala: Go ahead before the back of my head blows off on this. Go ahead. Jill DeWit: Is it okay? Jill DeWit: All right. That was 2004. Congratulations. It’s 2018. You know? Remember, Jack, we started to go down the path a while back of doing our own property with solar panels business kind of thing and getting in bed, basically, with power companies and all that. One of the reasons that you said, “I’m not sure it’s a good fit for us right now,” was when you found out how fast changes and advances happen. You may spend $1,000,000 and get this all set up and six months later, the technology’s all changed and it’s that much better. You know what? I’ve got to say, from 2004 to 2018, I’m pretty darn sure that the needs and some of the septic solutions and things like that have probably changed. That’s what I have to say. Jack Butala: There’s 100 reasons, maybe more, why whatever file that you’re looking in, has a soil analysis in it. It could be that the seller didn’t want to sell it. The buyer didn’t want to buy it, so they made up some crazy thing. Jack Butala: It could be that the assessor that year, which was maybe his or her retirement year, was so senile that they just put this in every file. You have no idea. Don’t get caught up. Here’s my big picture point. 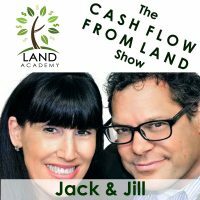 Don’t get caught up in every single deal and reviewing every single deal, you’ll never be able to scale your business to the point where you are not working for someone else or better or never get to the situation where Jill and I are in. I never got here by reviewing every single deal. What I did was made sure that the numbers worked on a deal before I do it and pushed it through a system. I said things all the way through the system like this. That’s how I scaled our business up to the point where we have budgeted almost a billion dollars in revenue this year. I never looked at a soil analysis and I never looked in any file. Well, Jack, come on. You’re going to get burned eventually. You’re going to get burned on something like this. Someone eventually is going to buy a property just like this. They have every intention of building on it and they can’t build on it because it didn’t pass a soil test. Whose problem is that, Jill? It’s not my problem. Jill DeWit: It’s not my problem. Jack Butala: I said, please check everything. You know, for the record, what I would do in that situation and that has happened. I’d give them their money back immediately. Jill DeWit: Exactly. That’s the thing. Jack Butala: Immediately give them their money back, not even ask any questions. Say, “I’m sorry it didn’t work out,” and resell it the next day. Jack Butala: It always come back to pooping. Every single thing. Jill and I have, our number three kid, is 14. Everything comes back to poop. Jill DeWit: Oh my gosh! It’s like he’s four. If you put poop in anything. Like the conversation, you talk and you mention poop, you get an immediate giggle. I have to admit I do that too. Anyway, it’s just silly. Jack Butala: Man, I’m not picking on you at all, because I know for a fact actually you’re very vocal on the site and I appreciate that. I know that you’re relatively new at this. This is a very good question, but I really do want to deliver this message. We are all taught to really, really pay attention to the real estate that we’re buying and selling. I’m telling you right now, it just doesn’t matter. Jack Butala: It could be a coffee cup. For all you care, it’s a case of coffee cups. Jill DeWit: You know, I mean, let’s be totally honest too. What if, I mean, if you’re doing like what we do, and you’re barreling along, and you have so many properties rolling through your inventory by the way, you’re doing fantastic. Big deal. You buy one. What did you say you’re in for? Let’s see. You’re in for $3,000, but this year, you made $300,000. Are you really going to worry about that one? Nope. The right guy still might come along. So what? Keep it in your inventory and move on. Is that okay? Jill DeWit: I mean, come on. Jack Butala: Let’s think. You just sparked a philosophical point here. Jill DeWit: You’re not going to get hung up on one. Jack Butala: Let’s say you drill for dollars for land. Jack Butala: What would that look like, Jill? Jill DeWit: Oh my goodness! Jack Butala: … defunct refrigerators. Jack Butala: The refrigerators, from an environmental standpoint, are the worst thing that you can find because of the Freon and stuff. Would you focus on buying that property? No, you would run away. You don’t want to. You would go to the next property, the next piece of property that’s just a lot, vacant lot, with a pretty little tree on it. No, the fact is, you wouldn’t care really what the land looks like at all. Jack Butala: It’s the same thing with houses. Why do you want the ugliest one? Why do you think you can do the best deal on the one that’s the most problematic and the ugliest? Jack Butala: Yeah, the soil analysis thing. Again, I’m not picking on you, Matt, because I know you’re going to do incredibly well. You are doing well. Forget about the soil analysis and now that you know about it, by the way, you are obligated and you should ethically, disclose it. Jill DeWit: Just share it. Exactly. Jack Butala: But, if you never knew about it, and you never read through that, whatever file it is that you have there. As far as the option to the neighbors goes, that sounds like a smoking deal to me. Jill DeWit: I think that’d be good. Jack Butala: The neighbor, the neighbor’s soil is the same soil that’s on that lot. He’s figured it out. Jill DeWit: Right. That’s a funny thing too. The house next door, his soil’s okay. I still don’t buy that. Yep. Jack Butala: Yesterday, Jill’s rant was about this rogue real estate, not rogue, this real estate agent that wrecked our office lease deal. Jack Butala: Because he’s just snooping around, creating problems, where there were none. Jack Butala: To justify it. I think that a lot of things happen with real estate so people can bang their chest and say, “God, I’m so smart. I just saved you so much time.” There’s a soil problem. Jack Butala: I’m going to put this in the file. Man, I’m great. I saved everybody some huge problems. No, you didn’t. Jack Butala: You caused master problems. Jill DeWit: Yeah, you cost me money. Thanks a lot. Now, I’m sitting with this asset. Jack Butala: You’re causing problems to feed your ego. Jill DeWit: No one’s paying for it. Yep. Jack Butala: Nobody won, except, you had a fleeting positive moment for a minute. Jill DeWit: Yep, because it’s no skin off your nose, whatever. Okay. Sorry. Jack Butala: Today’s topic, what the heck is HR, human resources’ compliance anyway? This is the meat of the show, and it ties into exactly what we’re talking about here. Human resources’ compliance is impossible, I’m here to tell you. Jill DeWit: Well, end of show. Jack Butala: It’s set up by lawyers so that you’re out of compliance right from the very beginning. The second you hire somebody you are, I guarantee you, you are out of compliance. Jack Butala: Well, Jack then, why does anybody ever get hired anyway? That’s obvious. You hire people to do stuff you don’t want to do. Jill DeWit: You do it right. Jack Butala: Give them the tools they need to succeed so that you get what you want out of them in that position. HR is all set up to be internal affairs, so to speak. They’re set up to keep you in compliance in something that is impossible to keep in compliance. The only way, the only possibility you have to win at this game, is to one human being to another, appeal to their sense of reality and their sense of getting a paycheck and keep them happy. That’s it. Jill DeWit: I get that. You know, I was thinking. I was listening to someone talk. It was like a year or two ago. They were talking about … I think it was when Governor Doug Ducey was just taking office. I think he was disgusted with the number of laws that we had on our books. He was looking around trying to simplify things, which I appreciate. This whole thing, I think it was on the radio. These guys were talking about the numbers of, and it’s staggering. The number of laws that are really added each day is a lot. That we’re constantly, in our country, adding laws, but we’re not taking any away. That’s the funny thing. They’re going, if you’ve ever really sat down and looked at it, they don’t go, this law now supersede this law, so we’re just going to remove this law. No. They don’t remove them. They just keep adding new ones. Jack Butala: It’s all over. Jill DeWit: You are, because you’ll go, “I hired the right way, but I did that wrong. I filled this out right, but I filled it out wrong according to this and then I should have turned it in, in two weeks. Oops, this one says it should have been in, in two days.” You don’t even know, which is right, and that’s the thing. Jack Butala: I didn’t know I was supposed to serve warm tea at 3:00 p.m. to everyone. Jack Butala: Compliance is … You have to keep people happy. That’s really what we’re saying here. Jack Butala: Long before authorities get notified or any of that, two humans have to sit down and say, “All right. If you’re unhappy, let’s talk about it. Let’s figure it out. There’s some way that we can actually work this out. I’m sure of it. You don’t want to work here anymore. Okay, let’s talk about severance. You do want to work here, but you want a bigger desk. Okay. Let’s take a look at that.” On-and-on-and-on. Forget about the rags. Like this soil thing that we just talked about, forget about that. Let’s just take a realistic view of whether or not you can actually put a septic system or some new system on this dirt and disclose it anyway. Let’s sit down like humans and figure it all out. That’s all. Jack Butala: Call me Captain Obvious. Jill DeWit: I love that. Exactly. Jack Butala: That’s great, Jack. That’s great. Thanks for that little fantasy and sharing it. Jack Butala: Whether you’re an employer A-hole or an employee? What do you do? Jack Butala: You try the approach that I just described and then you bring in the pros. You don’t have to sit around and stress about it or any of that. You bring in the people who handle stuff like this, whether it’s lawyers or whatever. That’s just how it goes. You can’t stress about it. 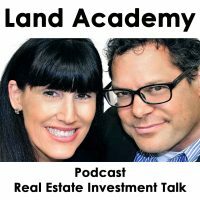 You have real estate to buy-and-sell. Jack Butala: I operate on this concept. Jill’s going to fall asleep now. I operate on this concept called revenue justification. Jill DeWit: I was wondering if you were going to share that. Thank you for sharing that. That’s the truth. Jack Butala: Revenue justification is as follows. We are making so much money at this that if I stop and really start to worry and deal with some of this other stuff and take my eye off of making all this money over here, it’s really just more effective if I just buy my way out of it. Jack Butala: That’s what we do, within reason. Jill DeWit: Within reason. It’s important to do the right thing too. If you’re really going down the path and you’re really sincerely trying to do the right thing, I’ve got to say there’s a good percentage that will go your way, I believe. For example, like we’re talking about this question today. You did the right thing. Everything’s cool. You know what? The guy gets some down the road, two years from now, the guy says, “You know what? This isn’t going to work out. I thought I could do this with the property and I can’t.” What do you do? You refund them. Big deal. We’re talking $3,000, $5,000. That’s okay. You’re doing the right thing. It’s going to solve it. He’s not going to take you to court by the way. Jack Butala: That’s what I mean, Jill. Jack Butala: How much does all that cost? Jill DeWit: You didn’t spend a lot of time telling him the real ins-and-outs about septic, what you really can do, can’t do. That’s the thing. If he comes back to you and says, “Holy cow!” Then, you just do the right thing. I’m going to refund you and send you on your way. Okay. Everybody wins. Jack Butala: Everybody wins. Exactly, Jill. Jack Butala: Most of the people that work for us in some specific office that we have, in the suburbs, have children. What does Jill do? Everybody leaves at 3:00 and they come back. They pick up the kids at school. That’s what you do. Jack Butala: Because we’re human beings and the kids need to be picked up. Jill DeWit: You can make it work. Jack Butala: They don’t want to sub it out. Jack Butala: That’s what HR compliance is in my book. Jill DeWit: Sometimes, it’s bring your kid to work day. We’ve done that too. Jack Butala: I love that, by the way. Jack Butala: I think people who have little kids, it’s a reason for me to just become a little kid and go buy toys. Jill DeWit: Go have some fun. Jill DeWit: It’s okay. I concur. Jack Butala: You’ve done it again. Wasted another 20 minutes listening to the Jack and Jill show. Join us tomorrow where we discuss how family life, speak of that, family life could possibly get in the way of your career. Jack Butala: Don’t let it though. Jill DeWit: We answer your questions, should have one, post it on jackjill.com. Go there and find our online community. Jill DeWit: That was good. That was a good way of explaining it and how it all ties into everything. Jack Butala: We’re all just people here. You know? Jack Butala: We should do a show and I guess it just all ties in. That’s really what happens with these sellers too. It’s not about the money. It’s not about the money for the seller. It’s not about the money. As long as your offer’s reasonable and it’s respectful, if they have other issues, that’s the reason they sell. There’s too much crap in the garage. The bedroom reminds them of their deceased spouse. It’s all that stuff. Jill DeWit: You’re standing up and doing the right thing. For example, like if someone says, “I just need help with X and then we can make this happen. I don’t know what to do. We can make this happen.” Gosh, I can help with that. Sure. Then, you follow through. Jill DeWit: It’s doing the right thing. Thank you, Jack. Hey, share the fun by subscribing on iTunes or wherever you’re listening and while you’re at it, please rate us there. We are Jack and Jill.